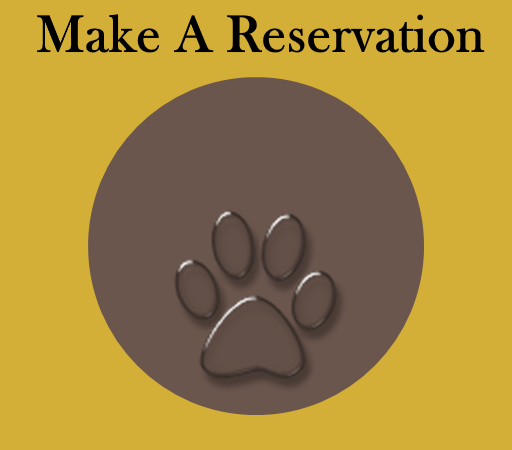 Reservations can be made online, over the phone, or in person at the Resort. Cancellations must be made at least 24 hours prior to the scheduled reservation time. Reservations cancelled less than 24 hours before the scheduled reservation time will be charged for the first night of the reservation. The rate is dependent upon the suite that was reserved by the customer. A 50% deposit is required for all reservations. The deposit is refundable if a reservation is cancelled no later than seven (7) days in advance. The lobby will be closed to the public on the following holidays: Easter, Memorial Day, 4th of July, Labor Day, Thanksgiving, Christmas, and New Year’s Day. Owners are welcome to check pets in or out anytime during lobby hours. All guests must be in good health and not have had or been exposed to any contagious or communicable illnesses within 30 days prior to check in. Paws in Paradise Luxury Resort & Spa advises against boarding guests who have a terminal illness or are in the late stages of that illness. All pets must have up-to-date vaccination records on file. Upon arrival and once daily thereafter, each guest will receive a basic visual evaluation by a trained staff member. Once our pet guests have retired for the evening, owners will receive daily Postcards from Paradise via email, elaborating on their pet’s health, eating habits, mood, etc. Pets showing signs of fleas or ticks will be treated at the owner’s expense ($25). 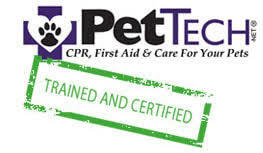 Each pet guest must meet our vaccination standards prior to check in. Pets requiring vaccination updates must have them administered no less than 14 days before any Grooming Service, Lodging, or Day Resort reservation is scheduled. Pet guests must possess a temperament that allows our staff to properly take care of them. To maintain a safe environment for our staff and pet guests, all pet guests are subject to a Temperament Evaluation during the initial visit. Pet guests showing any signs of aggression (biting, nipping, showing teeth, growling, lunging) toward staff or other guests may be deemed a Special Needs Guest. The Owner will be charged an additional $5 per day, as these pets will require one-on-one play sessions and special accommodations. Pets cannot pose a danger to our staff or other boarders. Aggressive temperament will be considered on a case-by-case basis. Owners are strongly encouraged to bring the pet guest’s regular food, because a sudden change in diet may result in digestive problems and discomfort. The food must be separated into meal size portions and stored in individual, sealed bags. Food must be labeled with the pet guest’s name and feeding schedule. If the owner does not provide food, Paws in Paradise Luxury Resort & Spa will provide premium kibble at no extra charge. Owners may also provide treats, if desired. Paws in Paradise Luxury Resort & Spa will administer oral and topical medications at no additional charge. Injections are $2.00 per administration. Guests requiring specialized care are handled on a case-by-case basis and additional fees may apply. All medications provided by the owner must be clearly labeled and include the pet’s name, type of medication, dosage, and schedule. We provide bowls and comfortable beds for all guests. Owners are welcome to provide items that may comfort their pet during the stay. Paws in Paradise Luxury Resort & Spa is not responsible for personal items left with the pet guest during a stay. Please ensure that all items are laundered prior to bringing them to the facility. Blankets must be small enough to fit in a standard washing machine. Paws in Paradise Luxury Resort & Spa reserves the right to refuse admittance to any pet guest for any reason and at any time, including those who lack proof of vaccinations, display signs of untreated contagious conditions, demonstrate aggressive behavior, or who do not meet our standard health and temperament policies. Our prices, policies, services and hours are not negotiable and subject to availability and change without notice.